If you attend wine tasting events in Southern California, you are no doubt acquainted with Ian Blackburn's Learn About Wine offerings. If you are not, you should be. Blackburn stages hundreds of events each year, from small to large, at which you can broaden your palate and, as the name implies, learn about wine. 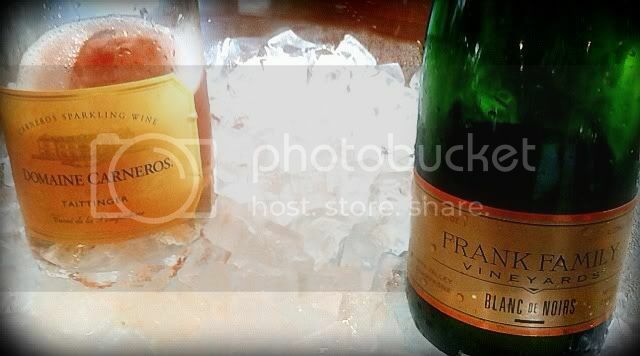 The STARS series of events are some of the large scale tastings hosted by Blackburn. The STARS of Santa Barbara event makes a lot of folks look forward to January. The 2012 edition of the STARS of Santa Barbara event will be staged at the Peninsula Hotel, 9882 S. Santa Monica Boulevard in Beverly Hills. The January 26th date features a trade tasting session from 2:00 - 5:00 p.m. and the grand public event from 7:00 - 9:30 p.m. 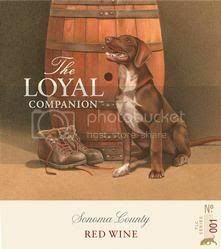 Some of the Santa Barbara County wineries and vineyards participating in the 2012 event include Alma Rosa, Bien Nacido, Bonaccorsi, Buttonwood, Brewer-Clifton, Brophy Clark, Byron, Cambria, Coquelicot, D'Alfonso-Curran, Fontes & Phillips, Foxen, Gioia, La Fenetre, Martian Ranch, Palmina, Reeves Ranch, Riverbench, Tercero, Thorne, William James and Zaca Mesa. If you want to learn more about Santa Barbara County wines, or just revel in what you already know about them, the STARS of Santa Barbara event is an event you should have on your tasting calendar. People say Champagne should not be reserved for special occasions, that we should drink it all the time. I'd be alright with that, if it weren't for the fact that I like the variety of the wine world and I often have only one glass a day. I usually go for a still wine, given the limitations. Sparkling wine corks don't pop as often as they should at our place, but that's my choice and I'll live with it. It was especially nice, considering my wanting Champagne ways, to be invited to The Tasting Panel Magazine's tasting event featuring about three dozen sparkling rosé wines from France and California. The event was held during the afternoon of December 15, 2011 at Waterloo & City in Culver City, CA. The elegance of sparkling rosé is undeniable. The variance in color, taste and aroma is quite noticeable when given the opportunity to sample so many side-by-side. Those in attendance were buzzing about their favorites. Much of the talk I overheard centered around the most expensive examples being poured, naturally. Even among wine trade and media types - maybe especially among them - it's a rare treat to sample a $300 bottle Champagne. There were, however, plenty of much more affordable bottles on display with as much presence on the palate as the top-shelf stuff. I did hear quite a few comments on some of the mid-range wines, and I imagine a few mental notes were being made for the next time a sparkler would be purchased. The wines started in the $14 range and went up from there. I'm listing here the ones I found to be well above expectations, and I've noted the ones I thought were exceptional sparklers. A nose of earthy fruit and tasting of minerals and orange peel, this was possibly the best value in the room. Great finish. It's earthy and spicy, with a hint of tartness. Flinty and yeasty on the nose with a raspberry and citrus palate. Aromas of smoke and toast lead to beautiful cherry and mineral flavors. 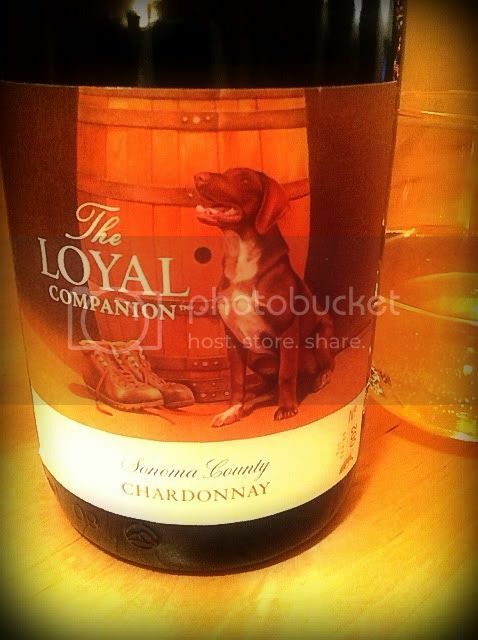 A light golden tint with an earthy nose and fabulous almond notes in the flavor profile. 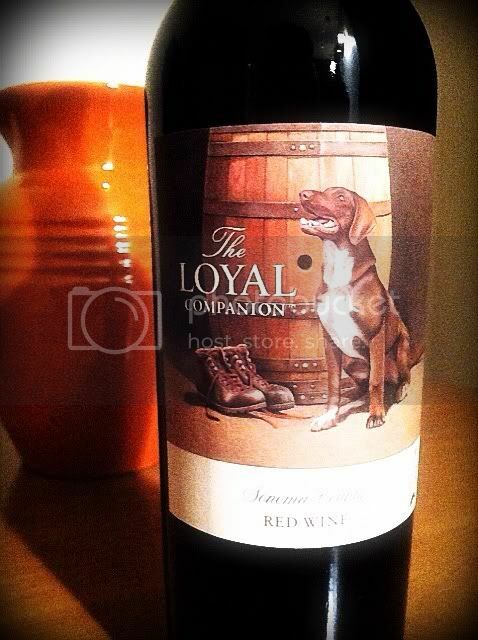 Muted wild cherry aromas with a really dark fruit expression. Creamy, with a hint of coffee. Heavy on the Meunier. Pink salmon color with a tangy taste of strawberry and tons of fizz. Almost red, this beauty tastes of toast and cherries. Hardly any color at all, it's extremely bubbly with the smell and taste of nutty apples. Deep salmon color, with a lovely, dry, strawberry/apple flavor. Salmon-colored, with a funky nose and earthy berries on the palate. Very pink salmon hue, with red berries and a splash of citrus. Just a "pinkish hue" with a yeasty nose and nutty, tropical flavors. Light salmon in color, the nose is an earthy strawberry/banana while the palate shows tart lemon balanced with a sweet note. 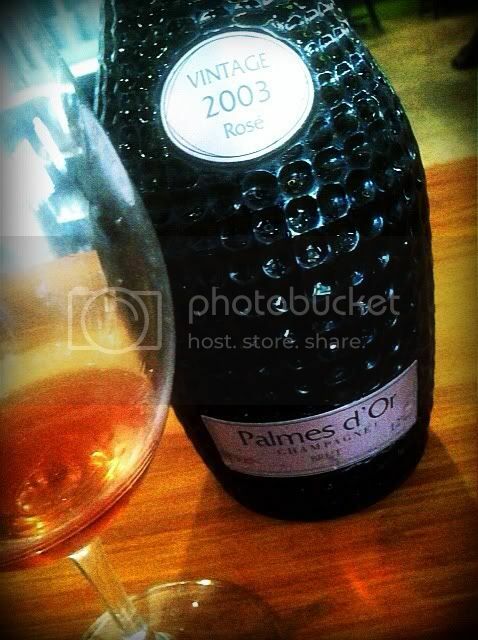 Very deep pink with a striking nose and palate of smoke and cherries. An explosive palate in an "alligator skin" bottle. Very light pink, it tastes of earthy peaches. Quite dry with an excellent finish. More orange than pink, the toasty nose leads to a taste of nuts and sweet apples. 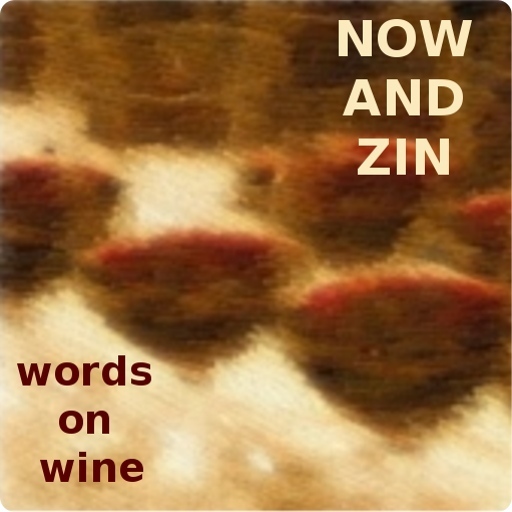 Now And Zin and Trailers From Hell! "The Man From Hong Kong" is cited as the first Australian/Hong Kong production in cinematic history, as well as the first Australian martial arts film. Trailers From Hell guru Brian Trenchard-Smith got his directorial start with this film, and he has some nice tidbits to offer in his TFH clip. A martial arts movie with fists a-flying and kicks a-plenty, "The Man From Hong Kong" stars Jimmy Wang-Yu and George Lazenby. Lazenby plays a bad guy, as opposed to the good guy he played in "On Her Majesty's Secret Service." You may have heard of that character before. Bond. James Bond. The co-stars apparently had some bad luck doing their own stunts. Lazenby's arm was burned while trying unsuccesfully to remove a flaming jacket in one scene. The experience probably left him shaken, not stirred. Wang-Yu was knocked silly in a fall from a hang glider. Trenchard-Smith is reported to have barely escaped injury when an exploding cars' door flew farther than expected and nearly clobbered him. Ah, all in a day's work. That's show biz. Get my agent on the phone. The action is practically nonstop in this movie, so if you like your Kung Fu heavy on the physical stuff, load up the DVD. There are only about 18 minutes of dialogue in the 100-plus minutes the film runs. Pop music afficionados will note that the song "Sky High," by the one-hit-wonder Jigsaw, was used over the credits. The music often adds a lot to a furious fists a-flyin' flick, but this choice seems fairly anemic and after-market. It's as if it had been decided afterward that a hit song was needed somewhere in the mix. It's energetic, and "blown it all sky high" certainly fits the action film mold. It's no "Eye Of The Tiger," though. Now, for a wine to sip while watching a martial arts movie. We've had tougher assignments than this. It didn't take long to find a Hong Kong connection to fit the bill. The trouble is, the bill is too high. Sky high. make wine, and it shows on the winery's website. There, they announced their Christmas sale: "$1200 for 6 HK wines!!" Pardon my gasp. If you find yourself in Hong Kong wanting to do a tasting there, it's only $80 for a flight of four. That's even pricier than Napa Valley. An Asian social/food site claims the wait time for a table at the winery is one minute. No doubt. Who can afford to stay longer? Now let's explore some wines from a little lower on the sales shelf. Hong Kong is in love with Bordeaux, and "The Man From Hong Kong" was an Aussie venture. Maybe we can find some suitable wines that don't kick quite so hard at the wallet as those Hong Kong imports. K&L Wines shows a shipping container full of Bordeaux for less than $20 per bottle. The 2008 Trebiac Graves is said to taste like a $30 bottle, which is a good impersonation for a $14 bottle to carry off. The comedy troupe Monty Python once cited the fictitious "Melbourne Old-And-Yellow" as a "good fighting wine," particularly in hand-to-hand combat. Australia's Fighting Gully Road is a winery located in Beechworth, Victoria. They do a little Shiraz, but their vineyards are planted mostly to Pinot Noir and Cabernet Sauvignon. Their Shiraz goes for $32, their Pinot for only $25. If the Man From Hong Kong had shopped around a little, perhaps he wouldn't be quite so angry. Feudo Arancio is a Sicilian winery owned by the large producer Gruppo Mezzacorona. Their 1,700 acres of vineyards are located on Sicily's southern coast, and the winery specializes in single-variety wines including Grillo and Nero d'Avola, in addition to the Syrah I'll write about here. 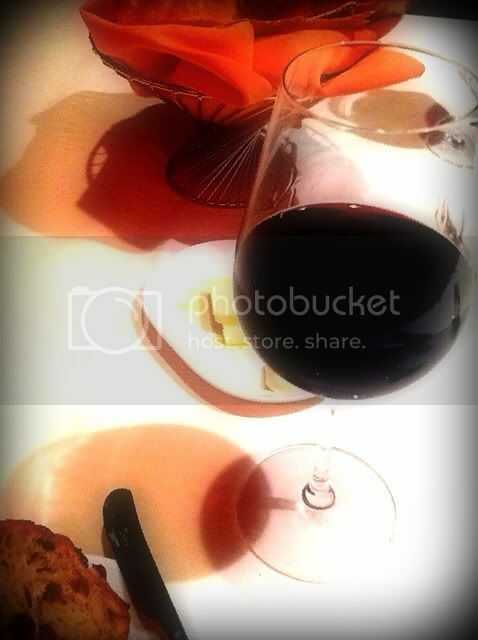 I had the Arancio Syrah at the Los Angeles Italian eatery Fabroncini, near Beverly Glen and Mulholland. 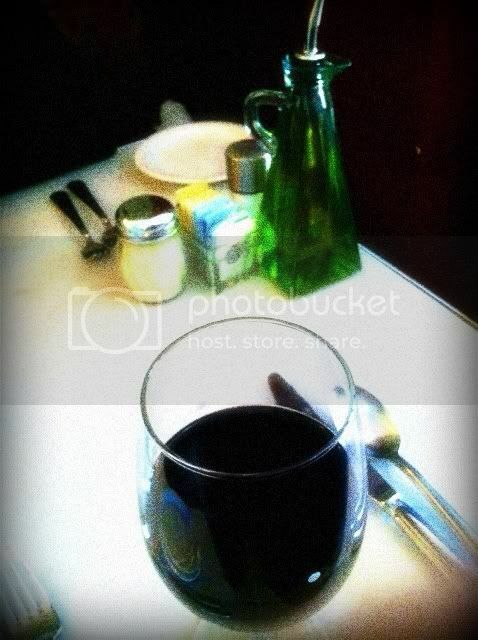 It's a favorite place for Denise and I to drop in for some great Italian food and wine. They sell the Arancio Syrah for $8 by the glass, and it appears to be available for about that price by the bottle in retail. The waiter did not recommend the wine very highly, but I love Syrah and don't get the chance to experience it in its Italian form very often. I waved off his admonition and ordered it anyway. I'm glad I did. It's very inky in the glass, with a nose that is just as dark. Herbal notes lace around a tarry aroma with blackberry fruit on display, although it is not so pronounced as one might expect in a California or Australian Syrah. The flavor of blackberry and black cherry dominate the palate, however, and there's a little tar evident. Licorice notes join a very nice minerality and the acidity is in top form. 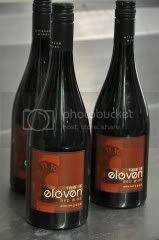 The tannic structure is very soft, possibly not what many Syrah lovers may like. I find it quite nice, and at less than $10 per bottle retail, it's a great wine to look for when you're in the mood for an easy-drinking, food-friendly Italian. Andrew Murray has turned it up to eleven. Inspired by the rock mockumentary "This Is Spinal Tap," Santa Barbara County winemaker Murray offers a side project called This Is E11even Wines. As rockers enter the field of winemaking in growing numbers, it's fitting that a winemaker shows his mettle with a line of wines in tribute to the rock and roll dream. Murray describes himself as a once-aspiring rock star, but he seems pretty happy to be a rock star winemaker now. On his website, the Rhône-loving vintner says, "I’ll be blending to achieve just the right melody, and experimenting with non-Rhône varieties to bust out a solo." "This one, a Cote Rotie-style blend with 10 percent viognier, doubles up with a Jimi Hendrix connection, as Murray believes the viognier “put a spell on” the syrah. We enjoyed it, writing, “Dark with a little chocolate,” “lean on the mouth but spicy,” and “more flavorful than Old World, more vibrant.” ($25; 15.9%)"
It comes under a Stelvin closure, known in rock'n'roll circles as a screwcap. While Wine Spectator reports that Burgundy is replacing Bordeaux as the most sought-after wine in Chinese auctions, one Chinese man is bringing California Cabernet to the party. France has a 47% market share of bottled wine imports in China, so selling California wine to a nation enthralled with French wine may seem like a tall order. The Wall Street Journal says former NBA star and Chinese legend Yao Ming feels up to the task. Yao Family Wines is being launched solely for the Chinese market. Made by Napa Valley winemaker Tom Hinde, the Yao Cabernet will sell for the equivalent of $289 American, per bottle. Yao aims to put California wine on a higher plane in China, but despite his fame there, it won't be a slam dunk. Wine from the United States currently ranks sixth in Chinese imports, behind France, Australia, Italy, Spain and Chile. 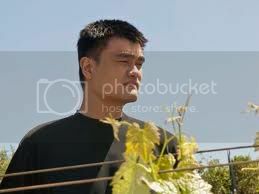 Yao does not own any vineyards presently, so the grapes will be sourced for his line. He does, however, have plans to purchase some Napa Valley land in the near future. I have always thought rosé wines had it tough. People seem to think rosé is reserved for summer, so a lot of folks miss out on the pink delight the rest of the year. That's nothing compared to the sad story of Beaujolais. 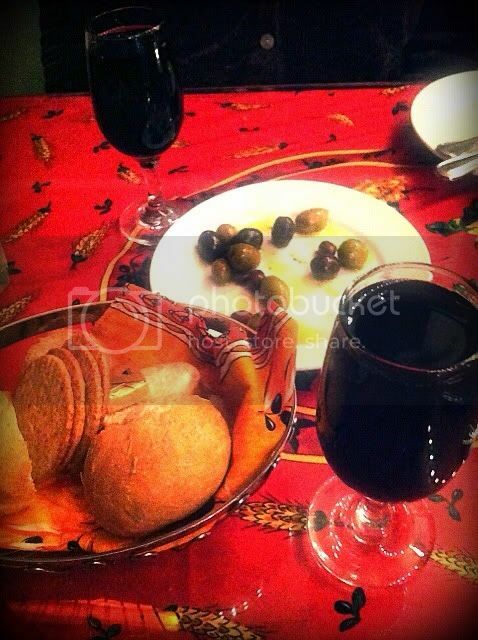 Some people think Beaujolais is for November only - and just the last two weeks of November! Au contraire. Beaujolais Nouveau is the young, fresh wine of the Gamay grape released on the third Thursday of November each year - but there's a lot more to the Beaujolais region than that fruity beverage that ends up on so many Thanksgiving tables. Picturesque Beaujolais is sometimes called "the Tuscany of France," with vineyards covering nearly every hillside. Beaujolais produces the most single-varietal wines in France, and 99% of their production is Gamay. Nearly the entire production of wine in the Beaujolais region is red - only 1% is white, and most of that is Chardonnay. Beaujolais is technically in both the Burgundy and Rhone regions. The climate is more like the Rhone, but the wine is considered to be different enough to justify separation from both regions. The Gamay Noir grape - a cross of Pinot Noir and the ancient white variety, Gouais - is the grape from which Beaujolais wines are made. The wine of Beaujolais is fermented in cement or steel tanks, undergoes semi-carbonic maceration and is put through malolactic fermentation. The result of all that tech-talk is a fruity red wine high in acidity and low in tannins. It has been called "the white wine which is red." The Beaujolais region has twelve appellations: Beaujolais, Beaujolais Villages (made up of 39 communes) and the ten Beaujolais Crus - Brouilly (pictured), Chénas, Chiroubles, Côte de Brouilly, Fleurie, Juliénas, Morgon, Moulin à vent, Régnié and Saint-Amour. The Cru wines come from these villages in the northern part of the region. In the coming weeks - maybe months - Now And Zin will be tasting and reporting on a number of different wines from the Beaujolais region. With a title like "Champagne Murders" it should come as no surprise to find that the movie is a French murder mystery. The lead character is a Champagne dealer who sustains a blow to the head and can't take care of his business anymore. Some would argue that people enter the wine business after a blow to the head, but we don't align ourselves with those snarky types. The woman who owns the winery tries to wrest control of the wine's trademark away from him - cherchez la femme - and murders and blackmail ensue. A lot of Champagne is consumed in the movie, most of it by the wine guy. We don't know if he's the killer or not, and he's so loaded even he doesn't know. Anthony Perkins is in the cast, and considering his role in "Psycho," I'd keep my eyes on him, if I were you. While not exactly bubbly, Claude Chabrol's film is quite artistic and much loved by fans of French cinema. It probably has quite a few fans in the French wine business, too. In his commentary on the movie, Trailers From Hell guru Tim Hunter shows a poster from the film's Mexican release, where it was called "Burbujas de Terror," which translates to "Bubbles of Terror." The trailer tells us that the film depicts "The Vintage Year For Murder." Let's take the natural path and pop the cork on some terrifying bubbles. Actually, the bubbles aren't so terrifying, but the price tag is. Moet & Chandon's Dom Perignon 2002 Brut will find a way to wrest control of that $140 bucks in your wallet, but if you are going to trade in bubbles, trade in the best. They say it's really a killer Champagne. Pommery "Pop" Rosé Champagne - Just enough to get you through the first act, 187ml for $13. How to open a bottle of sparkling wine - Pretty basic stuff. How to open a bottle of sparkling wine with a sabre - The advanced class. Don't hold us responsible if you get bad results with this technique. Anthony's Steakhouse at M Resort in Las Vegas put a positive spin on a day of visiting my mother-in-law - my favorite mother-in-law - in the hospital. Actually, the visiting itself was fairly positive. She was doing much better by the time we got there, and we were overjoyed to see that. No special occasion is needed, though, to enjoy this spacious Vegas eatery located a few miles south of the Strip in an area that was once considered to be out of town. There's a fantastic view of the strip through the wall of windows on the restaurant's north side. It's customary for me at steakhouses to not order the steak. I have nothing against beef, I just can't resist the siren call of a big pork chop on diced candied apple. That was a great choice for the Seghesio Old Vine Zinfandel 2009. Nice and dark in the glass - inky wine holds a great allure for me, too - the aromas of blackberry, blueberry and peppery spices are joined by whiffs of tar and anise. The nose is huge - it even wins the fight with the overly perfumed air in the casino. The Seghesio's flavors are very dark and earthy. Blackberry dominates, but that tar really comes forward. Great tannins and minerality make a natural for pairing with steakhouse cuisine.